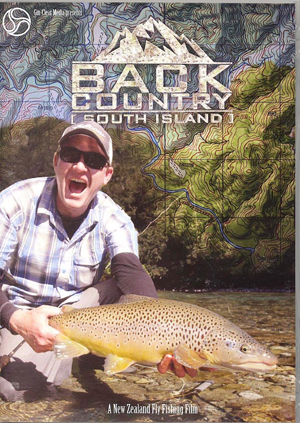 Backcountry - South Island Fly Fishing Trailer from Gin Clear Media on Vimeo. Gin-Clear Media's Backcountry – South Island is the sequel film to the highly acclaimed Backcountry – North Island, we once again explore the stunning fishing opportunities in the New Zealand backcountry. The South Island has vast tracts of some of the most intact, undisturbed natural areas left on our planet—these last truly wild places deliver beauty and isolation in spades but it is the allure of giant trout in crystal clear water that draws the anglers from around the globe to these treasured landscapes. The film explores a number of backcountry fisheries with anglers who exude a profound connection to the wilderness. The cast of the film is as extensive and varied as the landscapes explored. In the end it is dedicated, inspired people will ensure that the spirit of the backcountry will thrive, preserving a world that we are proud to hand over to those who come after us. Starring - Mike Kirkpatrick, Jake Berry, Jack Kos, Rene Vaz, Nick Reygaert, Andrew Harding, Jacob Freeman and Paul Procter.